» Who Are Those Guys? Five September Call-Ups MLB Fans Need to Know! “Who’s That Guy” is an ongoing Grantland series and an orientation tool to use in the vast sports landscape. This week, that landscape expanded along with MLB’s active rosters to include several high-profile prospects who are making their major league debuts. Here’s a primer on five brand-new big leaguers you need to know. September is when teams mint new major leaguers. From 2000 to 2010, an average of 51 players per season made their MLB debuts in September, when roster restrictions relax and teams swell to different sizes. On average, 34 of those players have failed to accumulate more than one career Wins Above Replacement Player. An average of between five and six players per season made their major league debuts in September, and then never played in a non-September regular-season game. In September 2010, for instance, Brian Esposito, John Lindsey, Justin James, Lucas May, Matt Fox, and Brett Sinkbeil were good enough to make the majors when their teams had roster spots to spare, but no club has found them worthy of inclusion on a pre-September roster since. Of course, some September debutantes are great stories, and some go on to do great things, either immediately, in the playoffs, or in a subsequent season, like Josh Beckett in 2001, Ryan Zimmerman in 2005, and David Price in 2008. The most productive September debuts from 2000 to 2013 belonged to Nyjer Morgan and Josmil Pinto, who racked up 1.1 WARP for the 2007 Pirates and 2013 Twins, respectively. So which of the 2014 September call-ups we’ve seen so far have the skills to succeed in future seasons? Here are five prime candidates. Where Is He From? Palo Alto, California, location of Silicon Valley and Silicon Valley, and home to a higher percentage of residents with master’s or doctorate degrees than any other American city with a 50,000-plus population. Although he shares the Palo Altan affinity for learning, Pederson was drafted out of high school, postponing any pursuit of higher education, so his only chance to go home without feeling intellectually inferior is to get good enough at baseball to earn honorary degrees. How Old Is He? 22.1 — or about six months older than Bryce Harper, who started in center opposite Pederson in Tuesday night’s Nats-Dodgers game. 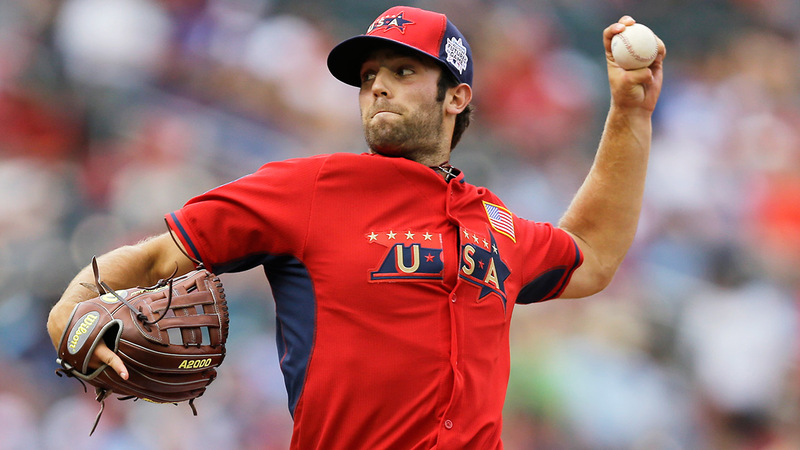 Comparisons to Harper still put hotshot prospects’ phenom status into perspective. His Game: Pederson’s stats this season make him look like the proverbial five-tool player: He went 30/30 and hit .300 while playing full-time center field, which was enough to make him MVP of the Pacific Coast League. Some of that offense is attributable to the thin air in Albuquerque, where he hit .332/.483/.639, so the lefty’s raw skills aren’t as loud as his inflated PCL slash line makes them look. Still, Pederson has average-or-better abilities across the board, and he’s extremely patient at the plate, which might make it possible for him to post OBPs approaching .400 in his prime. Even if he suffers from some contact issues, that would still make him a star in center, where he’s capable of sticking for the foreseeable future. What Were His Draft Slot and Signing Bonus? Every player on this list is making the prorated major league minimum: $500,000. So instead of salaries, we’ll compare draft positions and signing bonuses. Pederson fell to the 11th round in the 2010 draft because of concerns about how much money it would take to dissuade him from honoring his commitment to USC. In the end, the Dodgers’ total came to $600,000, which was way above slot. Fun Fact(s): 1. Vin Scully calls Pederson “Young Joc,” which is either an accurate description or a reference to a rapper, depending on Scully’s knowledge of Southern hip-hop. You be the judge. 2. Pederson didn’t spend his signing bonus on new wheels; up until last Friday, when he gave it away to a fan at an Isotopes game, he was still driving a 1994 Buick Century (nicknamed “Little Chucky”) with 166,000 miles on the odometer, one working window, and no working air conditioner. Its Blue Book value was equivalent to 10 days of major league meal money. Pederson is nothing if not self-confident. In Bob Gibson’s day, a rookie who chose the equivalent of Schoolboy Q’s “Man of the Year” as his walk-up song would have been liable to get drilled until he stopped acting cocky and causing continuity errors. The Dodgers weren’t willing to part with Pederson at the deadline because they believed he’d be a big part of their future. One way or another, the team will find a place to put him in 2015, but the future may have arrived already. If Pederson hits this month, Andre Ethier will have to worry about his place on the playoff roster, and the Dodgers will have to be willing to swallow some cash this winter. His Game: Franco swings at everything, but most of the time, he makes contact. Last year, he added more power to the picture, launching 31 long balls between High-A and Double-A, and while he didn’t come close to matching that total in 2014, he did salvage what was shaping up to be a lost season. At the end of June, Franco was hitting .209/.267/.318 for Triple-A Lehigh Valley. From July 2 through the end of the minor league season, he hit .324/.344/.580, and he credited the improvement to his work with former manager Charlie Manuel (whose magic must not have the power to improve major leaguers, judging by the Phillies’ last few years). Even over those torrid two months, Franco walked only seven times, so he’s probably not going to be a great on-base guy. However, that wouldn’t matter as much if he could continue to play third base. (At first, where he’s spent some time this season, Franco’s bat would have a hard time clearing the offensive bar.) Franco isn’t fast, but above foot level, he’s capable of playing the position. The feet will follow, as long as the Phillies aren’t expecting Scott Rolen. “It’s surprising how good he is [at third], because he can’t run,” said Phillies AGM of player personnel Benny Looper, who also admitted, bluntly, that “[Franco’s] range is less than adequate.” At this point, the Phillies can’t afford to be much more selective and discriminating than Franco is at the plate. Young, promising prospects have to play if the team is going to get out of its rut. What Were His Draft Slot and Signing Bonus? $100,000, which wasn’t an especially large sum in the days before international spending restrictions. Franco added some size and strength after signing, which he celebrated by snapping lots of expressionless post-exercise selfies. Fun Fact: Franco is the Phillies’ youngest position player since Jimmy Rollins debuted in 2000, which means he’s still a decade away from an eternally employed Ruben Amaro signing him to a disastrous extension, and 12 years away from Amaro assuring Phillies fans that Franco is still a productive player who’s bound to bounce back. Social Media Presence: 404 Not Found. The photo section from Franco’s agency-maintained Facebook page suggests that aside from the selfies, the player’s tragic absence from Twitter could be costing him some side income as a suit model who specializes in messy minor league clubhouses. … but maybe Madonna will grow on him. Should We Know Him? Why wouldn’t we? 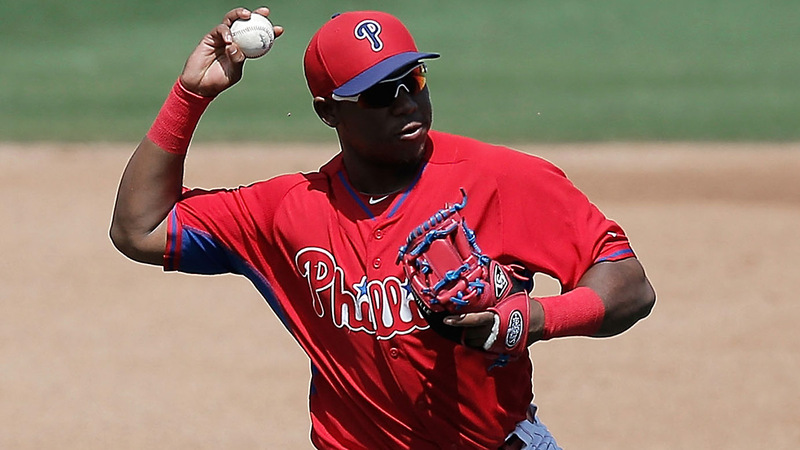 Too many other under-25 Phillies position players to watch? Franco might not make Phillies fans forget how their now-aged infielders could produce in their primes, but he could help them focus on the future. Where Is He From? Johnson City, Tennessee, which refuses to recognize him as a notable person despite his status as the first Science Hill High School alum to make the majors. How Old Is He? 21.1. Norris, the youngest of the players we’re getting to know today, was born on April 25, 1993. You’re just going to have to accept that, no matter how much it hurts. His Game: Norris struggled in his first pro season, scuffled in his second, and broke through in his third, wielding a four-pitch arsenal that he’s learned to command. The highlights are a moving low-to-mid-90s fastball and a high-80s slider, but Norris also has a mid-70s curve that has made significant strides and a fringy changeup that might make it to average. The southpaw’s potential for three plus pitches gives him the upside of a no. 2 starter with a realistic outcome of a midrotation role. What Were His Draft Slot and Signing Bonus? Norris slipped to the second round of the 2011 draft, but only because of his bonus demands, which netted him an above-slot, $2 million bonus. Fun Fact: This one calls for a block quote. After signing with the Blue Jays in 2011, Toronto’s second-round draft pick celebrated by purchasing his dream car—a 1978 Volkswagen Westfalia camper van. Three years later, Norris is still driving that big yellow automobile, affectionately known as “Shaggy,” making the annual trek from his home in Johnson City, Tenn., to the Blue Jays’ spring training complex in Dunedin, Fla., with stops just about everywhere in between. The 20-year-old lefthander eats, sleeps and quite literally lives in his van most of the year. “I’m not really sure why I do it, to be honest,” said Norris, who’s been camping out in Dunedin since Jan. 25, weeks before minor league camp was set to begin. Social Media Presence: Norris, a wave-catching, Jack Johnson–listening, fish-killing and Scripture-quoting free spirit, tweets from @DanielNorris18. Should We Know Him? We should. 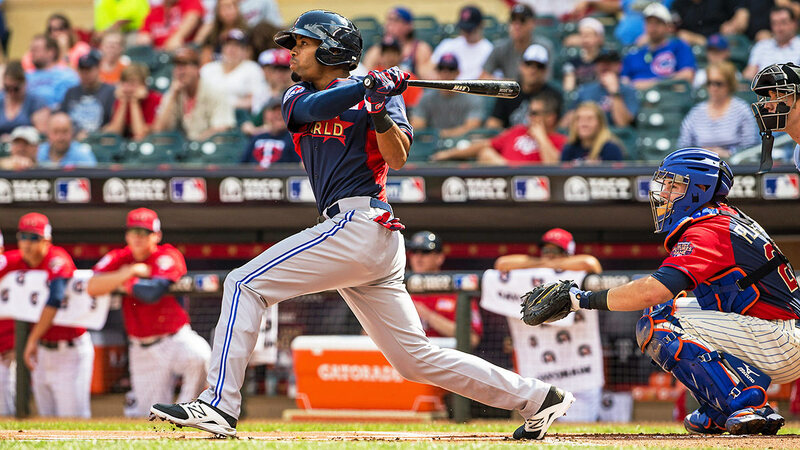 Norris is the latest of a few top Toronto arms who’ve earned call-ups in 2014, and the prospects who preceded him didn’t disappoint. Like Marcus Stroman and Aaron Sanchez, he’ll debut in the bullpen, and, since he has already exceeded his career-high innings total by 34 frames, he’ll likely remain there until the end of the season. Norris struck out 163 batters in 124.2 innings as a starter, and in short bursts, his stuff should play up, leading to a potentially dominant month. Blue Jays fans will likely look back at this as another disappointing season, but the prospect of a Stroman-Sanchez-Norris–Drew Hutchison foursome of under-25 starters, with Mark Buehrle and R.A. Dickey around to add veteran flavor, should offer some hope heading into 2015. His Game: Finnegan is a fastball-slider-changeup guy, and he’s not wild with any of his offerings. His heater reaches the mid-90s, and Finnegan masks his sinking change effectively. His slider, which ranges from 84 to 87 mph, features “hard, snapping bite with some tilt,” according to Baseball Prospectus prospect staffer CJ Wittmann, who’s seen Finnegan and heard the scouts’ rave reviews firsthand. Evaluators are still divided on whether Finnegan’s compact (5-foot-11, 185 pounds) frame and high-effort delivery are better suited for starting or relieving, but for the next few weeks, he’ll be toughening up the soft underbelly of the Royals bullpen as Kansas City clings to its tiny AL Central edge over Detroit. What Were His Draft Slot and Signing Bonus? 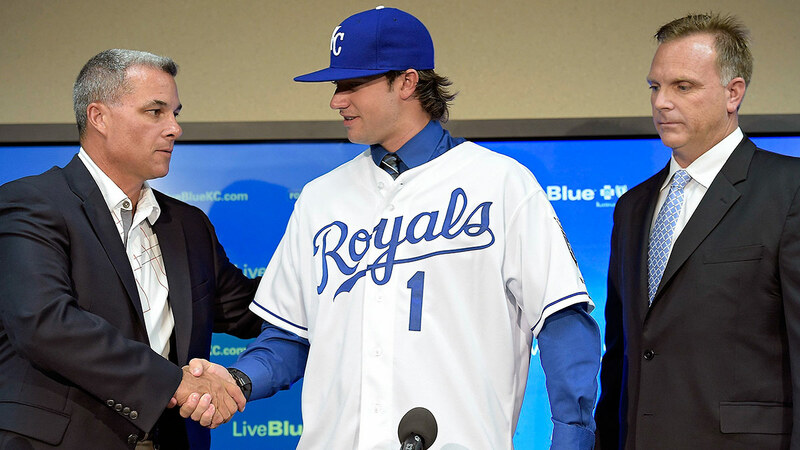 The Royals took Finnegan 17th overall and paid him full slot value: $2,200,600. He would have gone even higher had he not experienced some shoulder soreness down the stretch in his final college season at TCU. Fun Fact: The most intriguing aspect of Finnegan’s story is when Kansas City selected him: less than three months ago. Finnegan, who was assigned to High-A Wilmington in July, is the first member of the 2014 draft class to make the majors, after only 27 innings in the pros (and eight appearances out of the pen). Also fun: Finnegan learned his slider grip as a sophomore from Carlos Rodon, the no. 3 pick in the draft, who nearly received his own promotion this week. Social Media Presence: Finnegan tweets at @bfinny29, but his feed is standard Athlete Twitter fare. Should We Know Him? It depends. Do you already know and appreciate Wade Davis, Greg Holland, and Kelvin Herrera, the late-innings Cerberus that has helped the Royals hold leads all season? If so, then yes, you should find room for Finnegan, who might already be the bullpen’s best lefty, in your mental depth charts. That he’s only a few months removed from representing TCU in the College World Series and is now pitching for a team trying to make its first trip to October since 1985 makes him a compelling new character on the major league stage. If he continues to pitch like he did in Double-A (13 strikeouts in 12 innings, with two walks and one hit by pitch), then there’s a chance the College World Series won’t be the only championship he plays in this season. Where Is He From? Mississauga, Ontario. Pompey is the sixth Blue Jay to hail from the team’s home province, although he handed in his Canadian card when he admitted he’d never attended a hockey game before March of this year. His Game? The promotions came fast and furious this season for Pompey, who started the season in High-A and produced a .317/.392/.469 combined line across three levels, stealing 43 bases in 50 attempts. A switch-hitter who’s stronger from the left side, Pompey isn’t a major power threat, and his average will dip as he adjusts to upper-level pitching, though he does show decent plate discipline. However, he’s a plus defensive center fielder and baserunner, which should make him a productive player despite scouts’ questions about his bat. What Were His Draft Slot and Signing Bonus? Pompey was a 16th-round selection with an above-slot $150,000 bonus. Fun Fact: Writing at Baseball Prospectus in 2011, Grantland colleague Rany Jazayerli showed that “small differences in age among high school hitters can have a dramatic impact on their return as draft picks.” High school seniors range in age from an old 17 to an old 18, and at that point in the maturation process, fractions of a year make a significant difference in players’ development. As Kiley McDaniel notes, Pompey, who didn’t turn 18 until six months after the draft, is a fine example of a player on the lower end of the age spectrum, which could explain why he fell as far as he did in the draft, and why his big leap forward didn’t come until his fifth minor league season. Social Media Presence: Tweeting tirelessly at @DaltonPompey. • Most endorsed product: Lace Clips, a product for people who like sports and hate to tie their shoes. 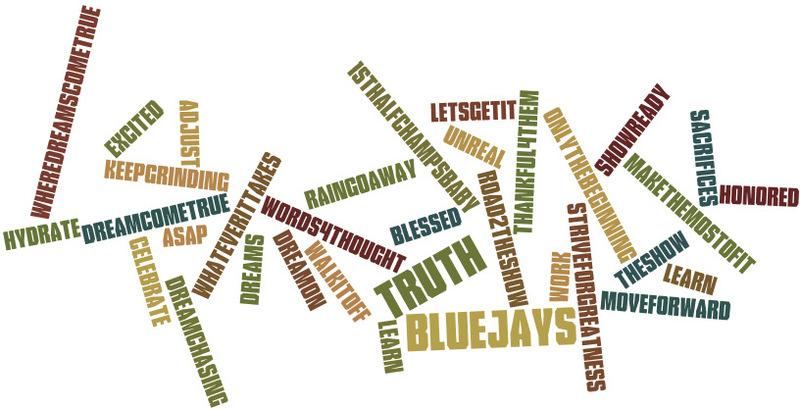 Drake is ubiquitous in the big league at-bat canon, since many major leaguers adhere to the “when in doubt, Drake” principle when selecting walk-up music. While Pompey loses points for originality, though, he gains them back for picking a song that suits his season. Technically, every major leaguer started from the bottom, but few of them ascended as far, as fast as Pompey. Should We Know Him? Pompey’s breakthrough couldn’t have come at a better time for the Blue Jays, whose erstwhile center fielder, Rasmus, will be a free agent this winter. Pompey might need more time in the minors early next season, and his stats and rapid promotions this season might oversell his potential. Still, he’s probably not the next Anthony Gose, so yes, you’ll eventually need to know him. Baseball Prospectus analyst Andrew Koo provided research assistance for this post.